One of the biggest farms in Sutton in 1820 was Wylde Green Farm, with over 190 acres. The farmhouse (now demolished) stood on the south side of Wylde Green Road, and the ancient farmland lay to the south of the farm, extending as far as Walmley Golf Course. Over the centuries additional fields were brought into cultivation and added to the farm; these extra fields lay on the other side of Birmingham Road, extending from Birmingham Road as far as Boldmere Road. More fields in Boldmere were added to the property when the commons were enclosed in the 1820s. Mr. John Smith owned Wylde Green Farm in the 1850s - he had lived as a child with his father at Hollyfield House in Sutton, but by 1850 he had settled down to life as a country gentleman at Britwell Salome in Oxfordshire. John Smith heard of the plans for a new railway to Sutton, which would cross his lands, and saw that the advent of the railway would turn most of his fields between Birmingham Road and Boldmere Road into potential building land, greatly increasing their value. A surveyor was given the task of laying out some roads across this part of the farm, and the future Station Road, along the southern boundary of John Smith’s land, Highbridge Road along the northern boundary, and Britwell Road were soon set out. There was no immediate profit in this - development would take place later - but it meant that when the railway came to be built (in 1862) the cost of the bridges crossing the roads was borne by the London and North-Western Railway. Had the roads been put in after the railway was made, the bridges would have been built at the developer’s expense. Other landowners took advantage of this strategy elsewhere in Sutton - in 1870 the Rector of Sutton, W.K.Riland Bedford, laid out the new line of Rectory Road from Riland Road to Coleshill Street. When the Midland Railway built their line from Walsall to Water Orton in 1879 they had to meet the cost of the bridge over Rectory Road, and also the bridge carrying Anchorage Road over the railway - Mr Sadler had set out Anchorage Road in 1870. 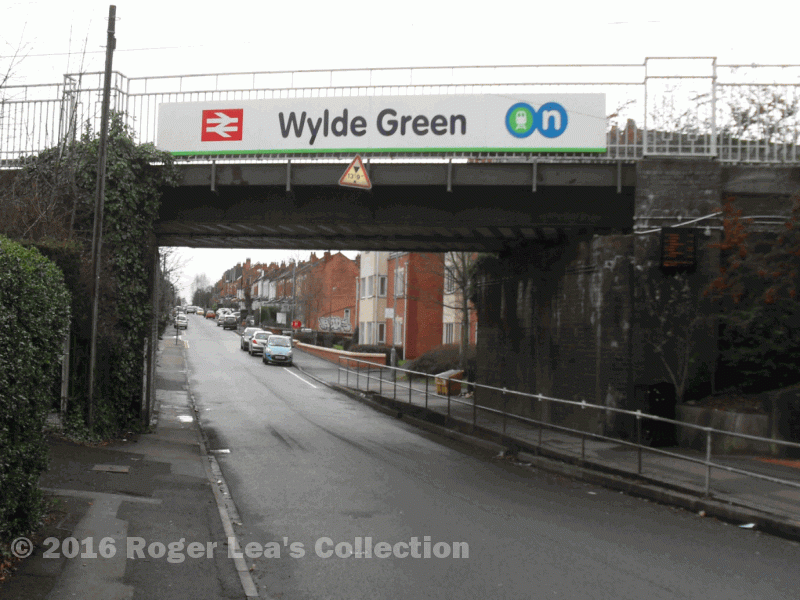 All the other railway bridges in Sutton cross long-established thoroughfares. The railway bridge in Station Road, built 150 years ago across the newly-laid-out road.